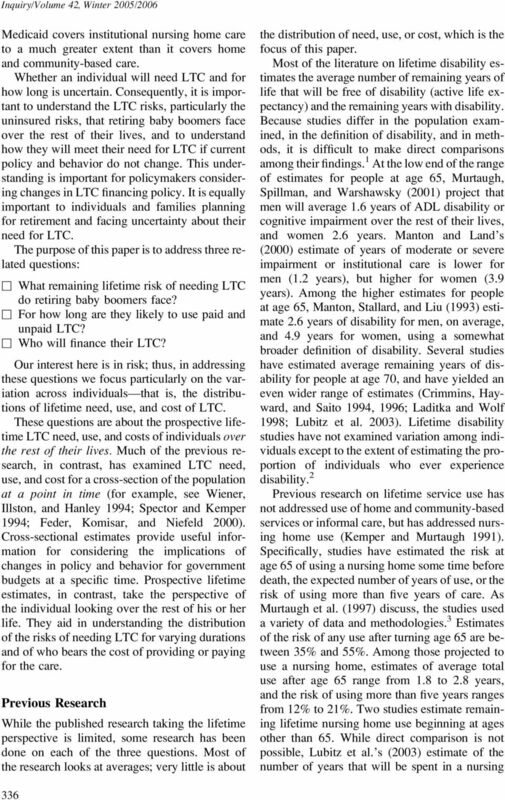 Download "Long-Term Care Over an Uncertain Future: What Can Current Retirees Expect?" 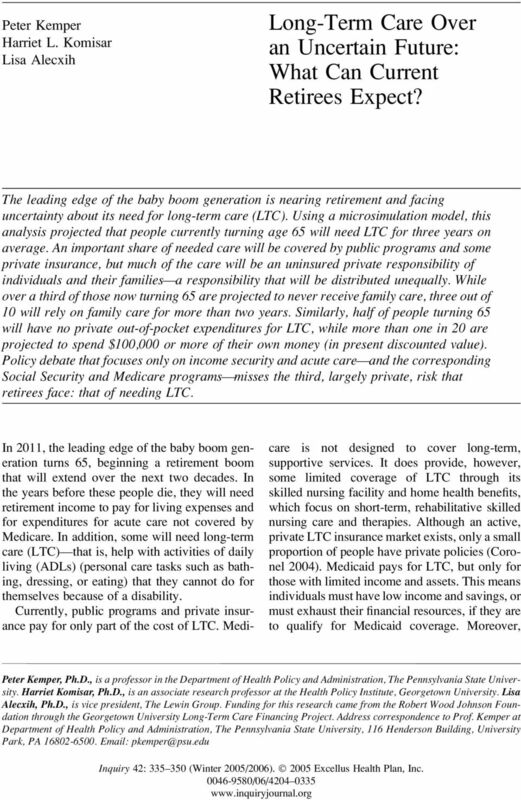 The Benefits of Long-Term Care Insurance and What They Mean for Long-Term Care Financing. 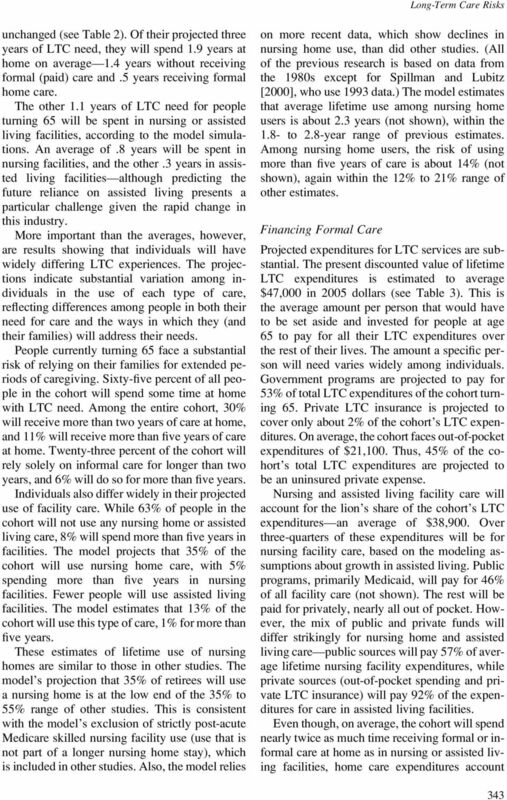 By LifePlans, Inc. 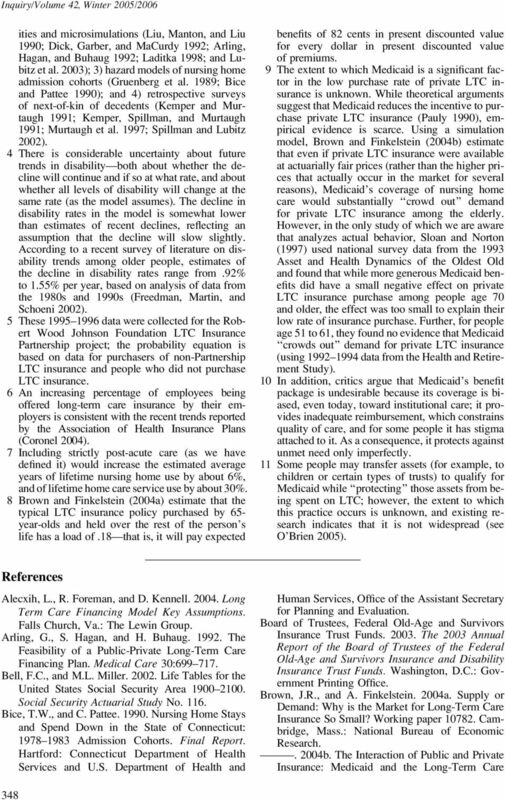 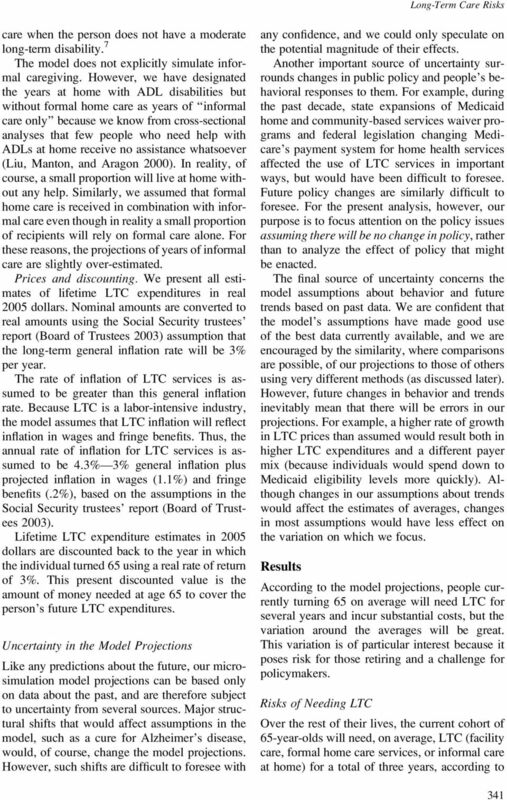 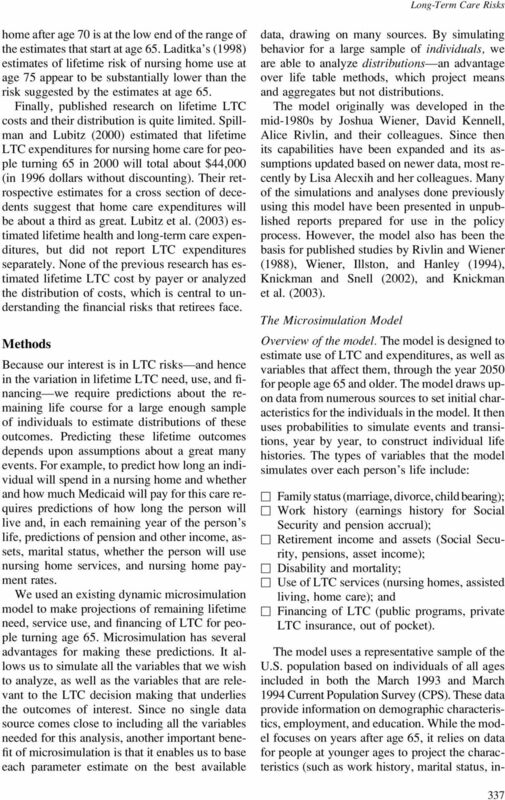 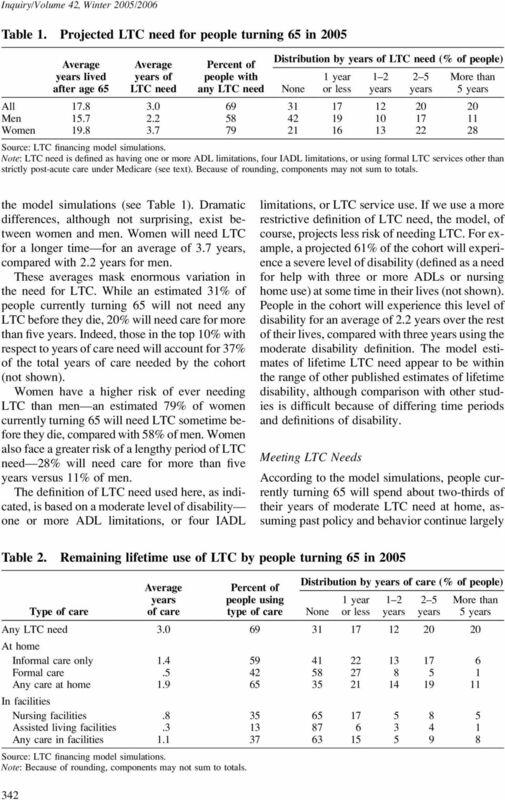 The MetLife Study of Employed Caregivers: Does Long Term Care Insurance Make a Difference? 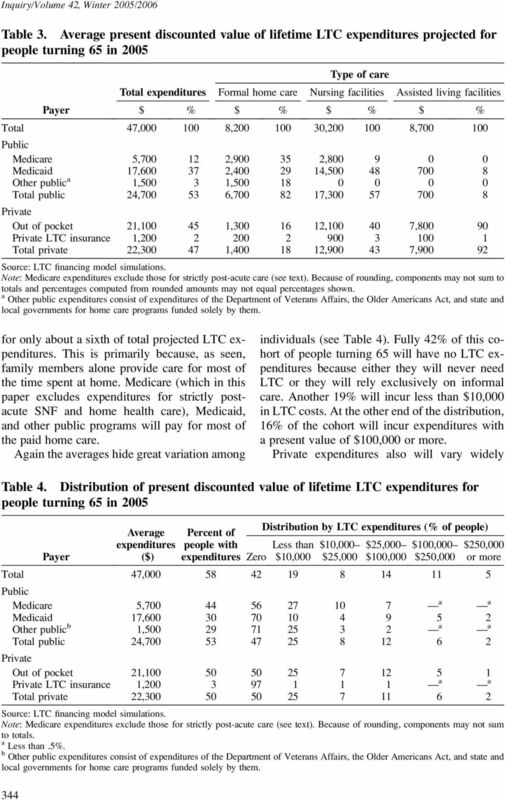 The Cost of Care for the Uninsured: What Do We Spend, Who Pays, and What Would Full Coverage Add to Medical Spending? 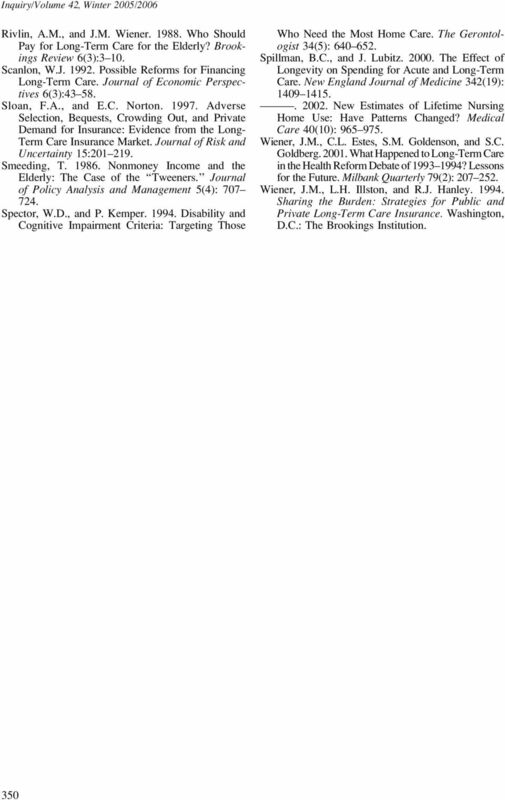 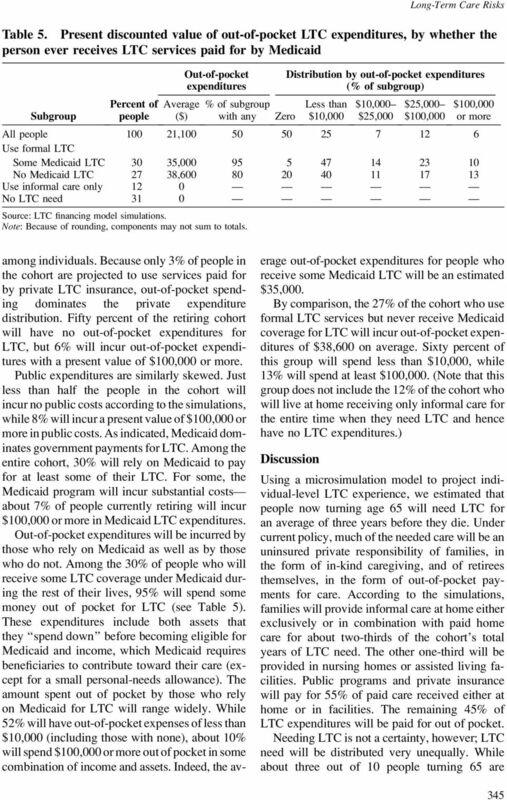 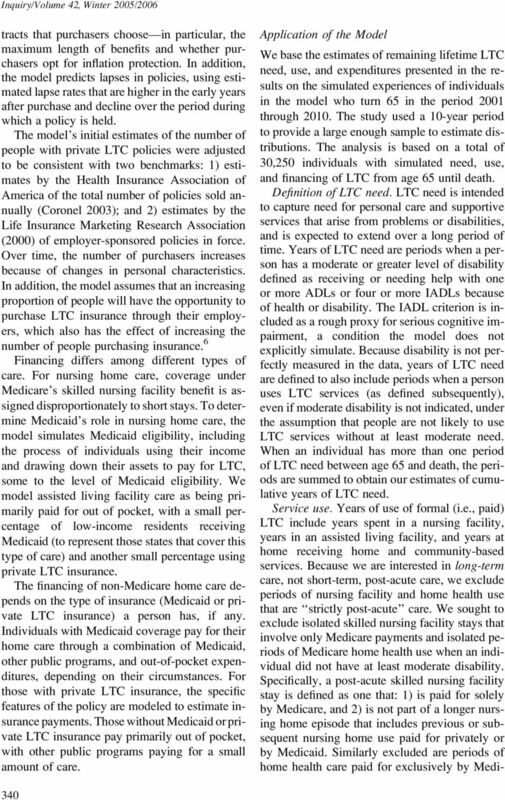 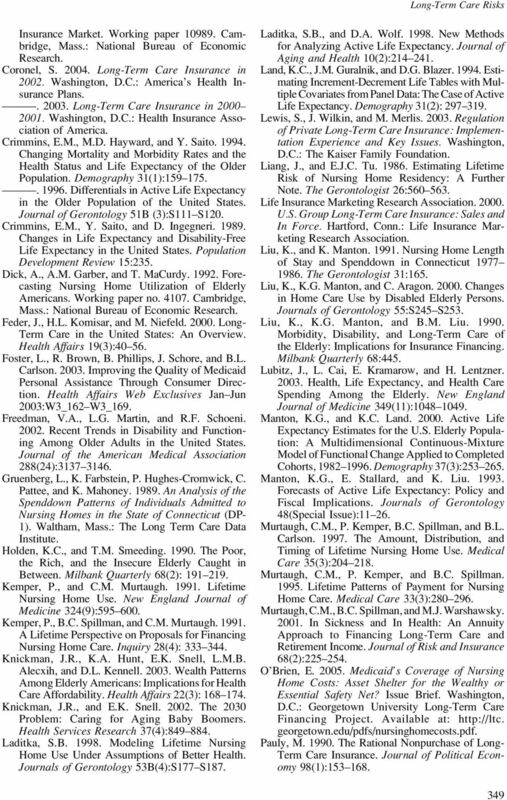 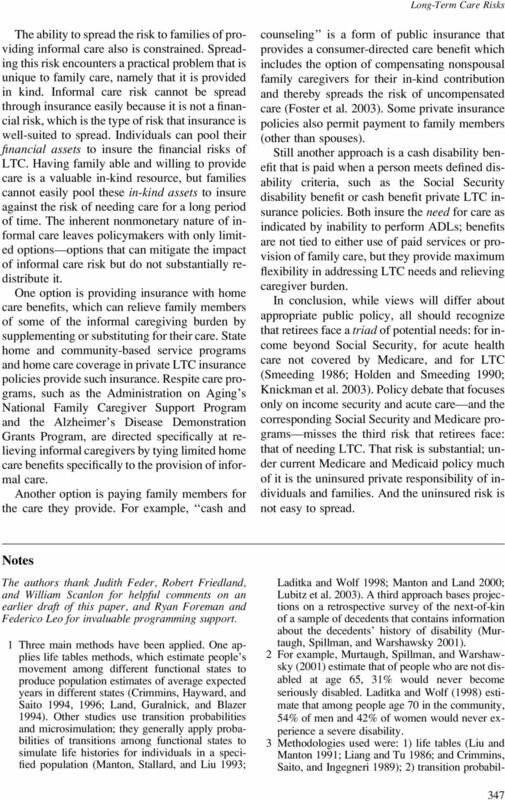 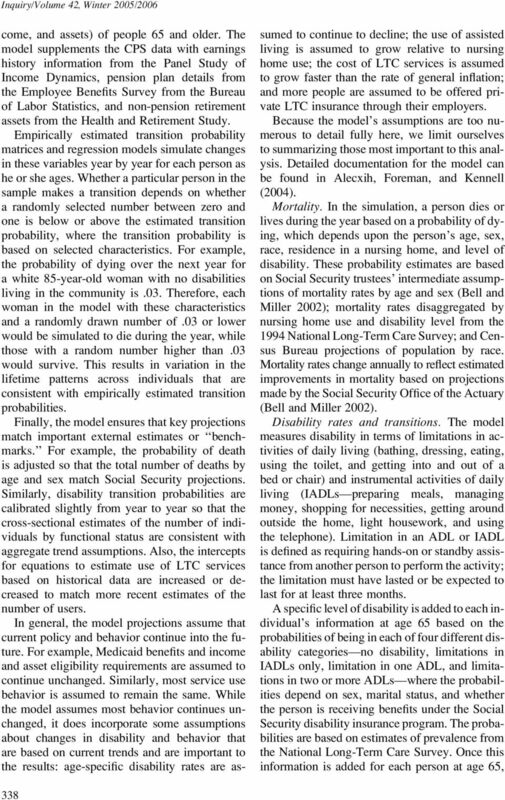 The Development of Long Term Care lnsurance in the United States Robert J. Dymowski, F.S.A., M.A.A.A. 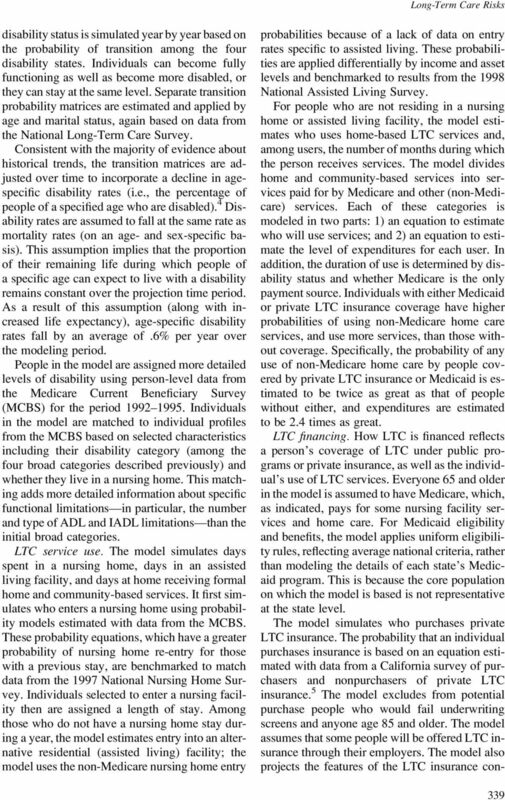 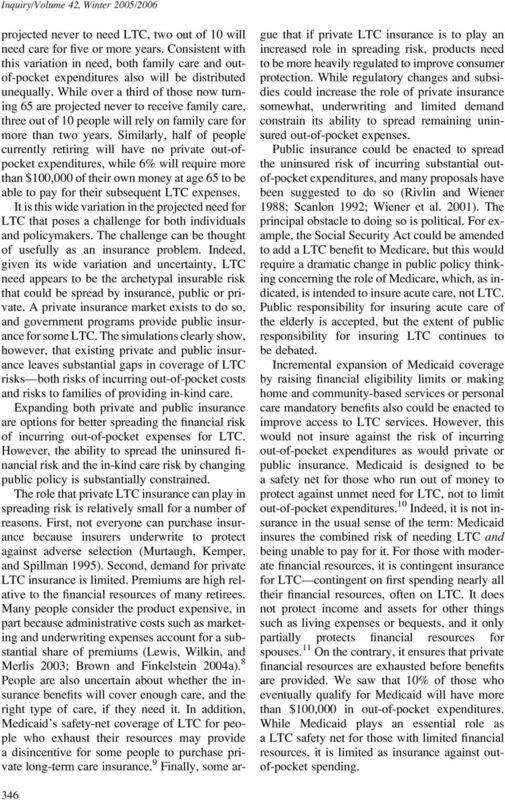 PPI PUBLIC POLICY INSTITUTE Private Long-Term Care Insurance: The Medicaid Interaction I S S U E B R I E F Introduction Does long-term care insurance help purchasers preserve their assets and avoid Medicaid?